How to convert a Point to Point design into a "custom look" that will stitch continuously over and back as a single pass. 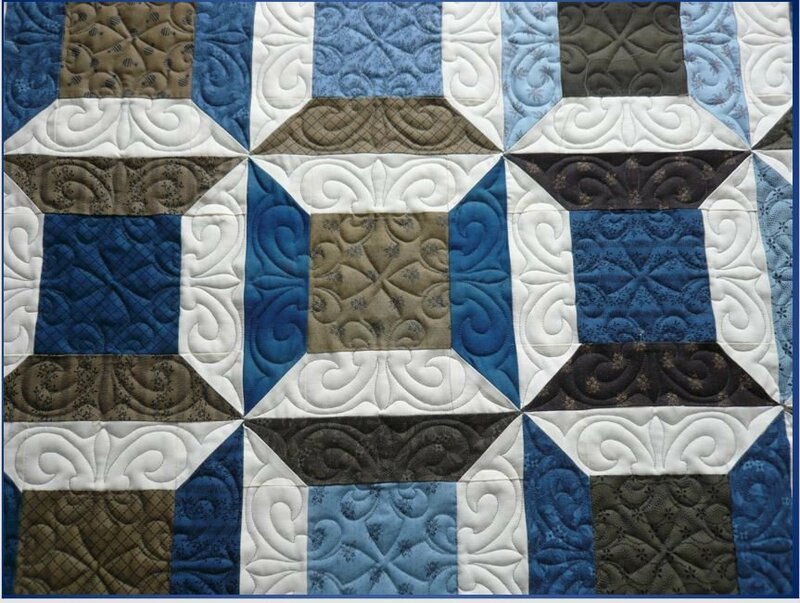 Elements of the design are showcased in different areas of the quilt giving the "appearance" of separate patterns in the blocks and sashing. Learn the secret of overall P2P custom. The block designs appear perfect, as if you set each design in separately. Set up an entire pattern row with Point 2 Point, than watch as it stitches all patterns continuously. Concatenating P2P opens up even more possibilities. Your imagination will take off as you start to "see" the elements of each design. Create custom quilting in a fraction of the time--after all, "time is money." Class will cover set up of several examples, as well as Stitch out tips.